Article paru dans Outlook India, ?dition du 2 f?vrier 2004. In the past two weeks, the Vajpayee government has spared no effort to persuade the people that the Indian economy is doing extremely well, and that the nda government deserves the credit. To hammer this home, it has coined two phrases, the ?feelgood factor’ and ?India Shining’. Predictably, Sonia Gandhi has rebutted this claim strongly. In Jammu last week, she accused the Vajpayee government of catering only to the urban rich. All the economic sops that finance minister Jaswant Singh announced two weeks ago, she pointed out, benefited only those who were rich enough to buy cars, TVs, computers and travel by air. For the rest of the country, there were only grandiose promises which, like the hundreds that this and previous governments had made, would soon be forgotten. The battle has thus been joined. And for the first time in the country’s history, it will be fought mainly, if not entirely, on economic grounds. Even the old battle, pluralism versus Hindu monolithism, seems to have faded, at least temporarily, into the background. Why has economics suddenly become so important? If one were to go by what BJP pundits are telling us, it is because a decade of economic liberalisation has awakened a thirst in people for economic growth. A dazzling array of new products has arrived in the market, and year by year they have become more affordable. Television has begun to change values and take the country towards consumerism. More and more people are defining well-being as a widening of their choices. They are thus becoming impatient with governments that seem to stand in the way of progress in the name of the poor. The buzzphrase, ?India Shining’, captures this mood exactly. 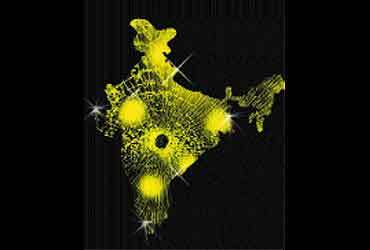 It conjures up glittering malls, multiplexes, flashy cars and clothes, discotheques and holidays abroad. It conjures up a world where consumption, not investment, drives economic growth. Being spendthrift equals being virtuous. This is the perception driving the BJP’s poll strategy. It’s one in which the new middle class, which now solidly supports it, will drive the country to prosperity by indulging its appetite fully. Suddenly thus, the conflict between serving one’s constituency and serving the nation has been magically solved for the BJP. Students of philosophy will easily recognise shades of 18th-century British utilitarianism in this. But is India really shining, or is the BJP being swept away on a rising ideological tide of neo-liberalism? Even a casual look at the state of the economy shows that India is, to quote Sonia Gandhi, "not so shining" and that the BJP is in danger of falling a victim to its own propaganda. The high growth rate of 7 to 8 per cent that the Reserve bank of India and the National Council of Applied Economic Research have predicted for this year is nothing more than a rebound from a year of drought to one of a truly exceptional monsoon. Not surprisingly, therefore, the ncaer expects agriculture to grow by 10.7 per cent this year. That accounts for the ?feelgood’ factor as well as for the high growth. Take a longer view and one finds that since 1997, the rate of growth has barely averaged five per cent. This is more than two per cent below the 7.2 per cent growth rate that the Congress delivered from 1993 to 1997. The main impact of this slow growth has been on employment. Between 1992 and 1996, nearly every new entrant to the job market was able to find a job. Proof of this was to be found in the Live Register of the unemployed, who were looking for jobs. This remained unchanged at 36.8 million for four years from 1992 to 1996. Before that the number had been growing by more than a million a year. In the last five years, by contrast, employment in the organised sector has actually been declining. In all, there are about 6,00,000 fewer jobs in this sector now than there were in 1998. In addition, every year some 7,50,000 young people have left schools and colleges looking for jobs in this sector. All but a handful have been forced to lower expectations and accept jobs they’re overqualified for. The entire pressure of joblessness has been felt by the least educated strata of job-seekers: those from poor families who studied in rural schools and have no relatives to help them find jobs. The future also presents a mixed picture, one where hope wars with fear for supremacy. On the one hand, the economy’s slow growth during the past six years and the near-stagnation of demand has forced industry and many services to become efficient to survive. Industry, in particular, has emerged leaner and meaner and a lot more self-confident. Now that interest rates have fallen and the share market has come back to life, plans are afoot to invest in new machinery both for modernisation and expansion. This will boost industrial growth in the immediate future and perhaps even create a few jobs. On the other hand, unemployment is likely to reach crisis levels even as the rich grow richer. In the past 10 years, rural families have withdrawn eight million children from the fields and sent them to school. The first of the ?graduates’ have just begun to emerge and they do not want to be farm labourers. The pressure of job demand is pushing down real wages across the board. This is most apparent in the unorganised sector. Worst of all, the slow growth and rising unemployment is concentrated in Bihar, UP, Rajasthan, MP and Orissa, while the bulk of the jobs are being created in the west and the south. Internal migration will thus increase. It could turn into a threat to the unity of the nation. The BJP can point as much as it likes to a rosy future. But it can’t erase the fact that for six years, as the employment crisis developed, it did nothing to avert it. It remains to be seen whether the electorate will choose to swallow its promises for the future or penalise it for its sins of the past.